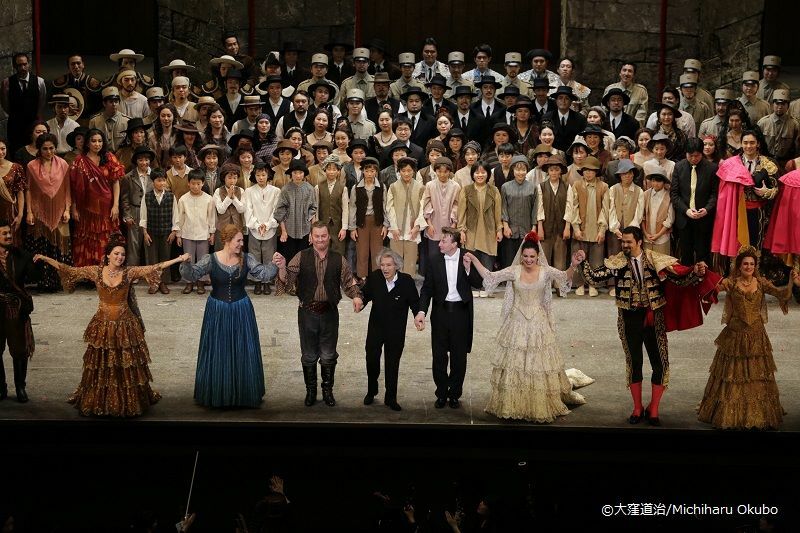 Today, Seiji Ozawa Music Academy Opera Project XVII Bizet: Carmen had its final performance at Tokyo Bunka Kaikan. 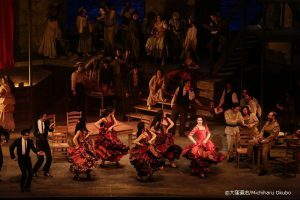 The Director Seiji Ozawa had to forgo conducting today, however, the full-house audience gave warm and big applause to all the casts and orchestra when the tragic love story between Carmen and Don Jose came to an end. 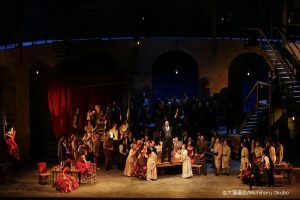 At the second round of the curtain call, the Director Seiji Ozawa made his appearance and sent his gratitude to he audience as well as to all the casts and staffs who created this production with passion and energy. Sandra Piques Eddy performed Carmen as if she was born to do this. Chad Shelton performed Don Jose and made the audience cry at the Act 4 with his heartbreaking tenor voice. Caitlin Lynch performed Micaëla who loves Don Jose sincerely and showed her strength in her aria. 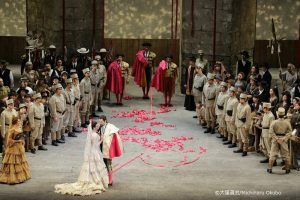 Edward Parks performed Escamillo who charms them all with his charisma and velvety voice. 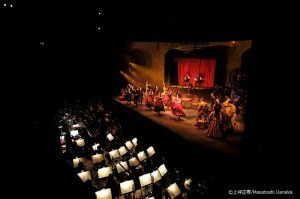 The reason why Seiji Ozawa Music Academy is an unique educational project in the world is that youth orchestra create a high class opera performance with world famous singers and great staffs under wonderful teachers. This year the Academy welcomed about 60 young musicians who formed the orchestra, and they had been taught by passionate teachers through opera production and succeeded to build great performances. Next year the Academy will perform J. Strauss: Die Fledermaus. We would like to thank all the audience who came to see our performances this year. We wish to see you next year again!